You stop people of this country going to meet their very near relatives by placing travel restrictions. Is that not treating the North differently? This is also an attempt to pull wool over the eyes of people, not of the people of the North. If the people of the North were fooled, they would have voted for the UPFA. They were not fooled by any of the roads, the bridges, the mega projects or the gifts you gave from election platforms. They were not fooled. This is an attempt to pull wool over the eyes of the people in the South. Elections are coming perhaps, otherwise there would not be such sweetness in this Budget. Thank you, Hon. Presiding Member, for the opportunity given to speak at the Second Reading of the Budget this year. As I have done in all of the Second Reading Debates since 2010 including the Vote on Account of that year, I wish to commence with a particular Observation. This year I have support for that observation from a Frontbencher from the Government ranks, the Hon. (Ven.) Athuraliye Rathana Thero. Just after the Budget Speech by the Hon. Minister of Finance, the Venerable Thero was asked by the press about his comments on the Budget Proposals and his response was, “We hope next year the Budget will be presented by a Member of the House”. Now, this is something that I have said for four years; that if Parliament is to exercise total control over public finance as mandated by Article 148 of the Constitution – the Hon. (Ven.) Athuraliye Rathana Thero was also pleased to mention that Article in his comment – then, it is necessary that the Minister of Finance is a Member of this House. We have the sad spectacle yet again this year of the Debate continuing without the Minister who proposed it being in the House as a Member of this House accountable and responsible to respond to several vital comments that are being made. I too wish, like the Government Frontbencher, that this will be remedied at least by next year. As we walked away from the Chamber that evening into the Tea Party, a very senior Government official was heard to remark, “The only thing that the Opposition can say about this Budget is that it is too good to be true”. I thought that was well said. What he said is true. I want to repeat that: “This is too good to be true”. In fact, this is a grave fraud on the people of this country. This cannot be true. We have never seen a Budget like this. We have never seen proposals that have been made so irresponsibly with the eye only on his re-election. This ought not to be done. I think the Hon. Minister of National Languages and Social Integration applauded a little too early before I continued. He might regret his applause now. This is a most irresponsible thing that has been done. In the previous years, there were clamours for relief for several sectors which were promised but not given. Some were promised; some were not promised and even those that were promised, never saw the light of day. And yet, even through those years – we looked at the balance of account – we saw how much of this was being funded from foreign borrowings. As we start the Debate on the Second Reading, we have, tabled before us, an Amendment to the Appropriation Act of 2013 to increase the borrowing limit by Rs. 200 billion. Now, what does that mean? It means that the sky- high limit that was set even at that time had not been enough to meet the expenditure for last year. Now, with this Budget Proposal, how will the Government even begin to fund the expenditure that they have proposed they would incur? You cannot merely make proposals to give people some good feeling. There is something called “overdoing” and my suspicion is that the Hon Minister of Finance has overdone it this time. He has so overdone it, that even the very ordinary people of this country do not believe it; they do not believe it. Anyone we meet on the street is asking us the question, ” ? ?” They are astonished. So, you cannot fool all the people all the time. That, we know. But, in this instance, even through sweetness, you have not been able to satisfy them because their suspicions have been, rightly, aroused. How can the Government meet these expenses that have been so generously and lavishly proposed? I would not go into the details. Several Members of the Opposition have delved into details and shown up these Budget Proposals for what they are, as I said, a fraud on the people. I would not go into it at this stage. Perhaps during the Committee Stage, we will have an opportunity to go into the detailed Estimates and the reality as opposed to the glorious picture that has been painted by these Proposals. Today, I would rather go into some of the policy statements that the Hon. Minister of Finance made while presenting the Budget. The Hon. Minister was pleased to refer to certain events in the recent past. He said that the war was fought so that all the peoples of this country will live better lives and the approach of the Government has never had a communal slant to it. He quotes the results of the three Provincial Council Elections held this year as proof of the fact that the Government has large public support for the direction that it is travelling in. May I venture to ask then, by the same token, what lesson has he learnt from the results of the Northern Provincial Council Election held last year? What, if at all, has he learnt? If he takes, as he claims, 54 per cent of the vote for the UPFA as a total endorsement of the people for the work programme of the Government, how does he read less than 20 per cent of votes the UPFA received in the Northern Province? How does he read 78.9 per cent of the vote that the TNA received in the Northern Provincial Council Election? And, if the war was fought, as he claims, to deliver the Tamil people from the clutches of terrorism, what have those Tamil people told him in September of 2013? The Hon. Minister who relies so heavily on that vote to make a point about the support he has, citing a mere 54 per cent, cannot see that less than 20 per cent voted for his party and almost 80 per cent for the TNA in the Northern Province, where the war was fought. I am linking these two to ask the Hon. Minister of Finance the question, how have you formulated this policy? How have you come to this conclusion of yours that the people in the Northern Province, where the war was fought, are all duly satisfied with your development projects and are very happy that there is no fighting now? Well, people are happy that there is no fighting, I will concede that. But, that is not all. If the war was fought to an end so that people will live with dignity more than anything else, with dignity, peace and prosperity, that has not happened and if that is not the crucial ill that affected this country all these years, for several decades, perhaps since Independence, what is the problem that ails this country? Yes, yes, not worth talking about. The Hon. Lohan Ratwatte suddenly walks in and he is amazed – because they are willy-nilly breached. But, these are promises given to a very friendly neighbouring country, to the Prime Minister of that country, to the Secretary- General of the United Nations and to the international community at large. It is very specific, not just “we will solve it”. No, they said: “We will implement the Thirteenth Amendment in full and build on it so as to achieve meaningful devolution”. How many times this was said? I am glad that the Hon. Deputy Minister of External Affairs is here, because the Ministry of External Affairs has the record of all of those promises and the Joint Communiques that have been issued from their Ministry. A sudden wisdom has dawned now on the Hon. Minister of Finance to come into this Chamber and say, “I cannot see the rationale to devolve the subjects of land and police powers to nine separate Provincial Councils”. This is yet another indicator that tells the people of this country what value his promises are. Of course, with this Budget, they seriously suspect that none of these promises will be kept. Why has he done this? He talked about the North, and also about the “Yal Devi” to Jaffna. By the way, we welcome the “Yal Devi” to Jaffna. That has earned millions of rupees in a couple of days for the Government. It is good for the Government as much as it is good for the people. It is good for the people. So, I said it is good for the people. Why do you not listen first? I did say it is good for the people. We must thank the Government of India for making the finance available for that project. We do not know the arrangements for finance that you have made with the Chinese. So, I will not thank them or you for that matter. That is wrong. Do not say “two visas”, it is a permit. We cannot issue two visas to for anybody who comes into this country. (The Hon. A.R.M. Abdul Cader) That is what Prabhakaran did. You are doing what Prabhakaran did. That is my complaint. People have to obtain two visas, one to come into this country and another to go to the North, just like what Prabhakaran did. Why are you doing what Prabhakaran did if you are complaining about Prabhakaran? You chased Muslim people from the North. Hon. 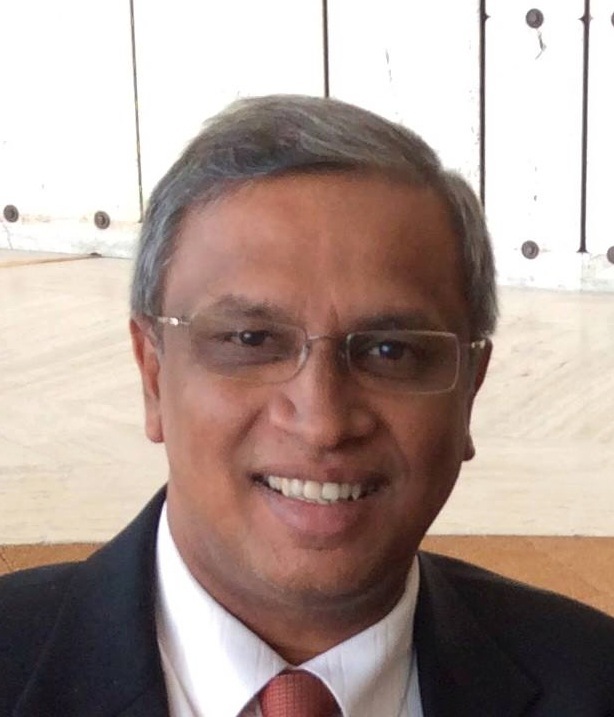 Sumanthiran, please continue with your speech. We have dealt with that time and again. (The Hon. A.R.M. Abdul Cader) Do not shout now. Let the Hon. Member speak. Please let the Hon. Member speak. He cannot just insult me. I have to answer him. (The Presiding Member) You can answer later. “Why is the North being treated as a separate country?” is the question that I am posing. People who come into this country can freely get about anywhere else but not to the North. You have to get a special permit to go to the North. There can be LTTEers going to Jaffna. Where is the LTTE? I thought you destroyed them fully. (An Hon. Member) A diaspora. Hon. Vasudeva Nanayakkara, you started saying something. Do you want to say anything? (The Hon. 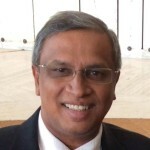 Vasudeva Nanayakkara) No. (The Hon. A.R.M. Abdul Cader) rose. I gave way to the Minister, the Hon. Vasudeva Nanayakkara, but I cannot hear him. Hon. Sumanthiran you may carry on. Sir, I gave way to the Hon. Vasudeva Nanayakkara to respond, but I could not hear him. Okay. Hon. Vasudeva Nanayakkara you can make your point. Hon. Member, those who were born in the country need not obtain permission even if they are visiting here from a foreign country. I read that in the newspapers. I only said that. No, anybody who holds a foreign citizenship has to obtain special permission to travel to the North. (The Hon. Vasudeva Nanayakkara) Even if they were born here? Yes. There maybe grandchildren born elsewhere. If so, what do you want them to do? (The Hon. Lohan Ratwatte) Get permission. Are you talking about the Tamil people who live in Bambalapitiya? He does not sense the affectation on the dignity of our people. When you come to your own country, do you have to take special permission to go to your own hometown? Only to go to the North, you have to get special permission. Even they have applied for dual citizenship but that is kept pending, because they are from one part of the country. What is this sanctimonious preaching? There are a lot of people who have applied for dual citizenship but they have not yet been considered because that operation has not yet begun. Special cases are a different matter. I have my nieces who have not got the dual citizenship. Very well. We were told responsibly that over 1,300 have been given dual citizenship and no basis was disclosed. I can say responsibly from the Floor of this House that no Tamil has got. Who this special category of persons are, we do not know. It is in that background that there is this sudden imposition of travel restrictions to the North. On the one hand, you have “Yal Devi” coming and we welcome it. That earns revenue in millions for the Government. On the other hand, you stop people of this country going to meet their very near relatives by placing travel restrictions. Is that not treating the North differently? This is also an attempt to pull wool over the eyes of people, not of the people of the North. If the people of the North were fooled, they would have voted for the UPFA. They were not fooled by any of the roads, the bridges, the mega projects or the gifts you gave from election platforms. They were not fooled. This is an attempt to pull wool over the eyes of the people in the South. Elections are coming perhaps, otherwise there would not be such sweetness in this Budget. And, now you want to create a kind of unrest, a kind of fear in people’s minds: “Oh! There is some militant activity that they have commenced in the North. There is terrorism starting again. I am the only one who can conquer terrorism in this country, so you must vote for me”. Merely saying it is not enough. Do a few things like imposition of travel restrictions to the North. You do not care what inconvenience people are put to because you do not consider them your own. You do not care worse what indignity they suffer because you do not consider them your own. That is the hard truth and that is what this House must understand. Merely claiming that the war has ended and you have defeated terrorism is not enough if you continually sow the seeds thereafter for discontent, for people to suffer indignity, for people to feel that they are somehow inferior to the others, for people to think that they do not belong or they are not wanted in this country, that when they freely exercise their franchise and if it is against the powers that be, they will suffer punishment for that, and even the representatives whom they freely choose will not be given any power and that area will be administered directly from the Centre. That much talked about Rs. 8 billion which is said to have been given to the North was not given to the North, not for their people’s Representatives to spend or use in the way they decide, on what development is good for them. It is decided here; it is spent from here and goes into pockets here. Going into pockets anywhere is objectionable, but most of it goes into pockets here. Money does not even go there. (The Hon. A.R.M. Abdul Cader) Sir, I rise to a point of Order. (The Hon. A.R.M. Abdul Cader) ,. That is not a point of Order. Hon. Sumanthiran, you carry on. Hon. Sumanthiran, you carry on. Sir, as I was saying, what I explained earlier is the thing that concerns us most. With all of this, there is one welcome thing though that the Hon. Minister of Finance and Planning had said. He had said, “I want – he has named our party – the Tamil National Alliance to engage in conversation”. I say I welcome it because at least this time, he has not decided that by talking to people who sit on that side of the Divide he can solve anything. He has finally realized that we are the true Representatives of the people and that he must, rightly, talk to us. So, that is a welcome statement from the Hon. Minster of Finance. But as before, our worry is, that is said, but nothing is done. I would not go too much into the history of that because I believe that before we conclude the Debate on the Second Reading, a full record of that will be placed in this House. Sir, I will conclude by coming back to the Budget Proposals that have been made. Let me use this House as a place from which a warning can be addressed to the people of the country. That is what it must be, that the sentiments expressed here by the Members must be heard loud and clear by the people of the country. Despite what has been said about press freedom in this Speech, we know what level of freedom the press enjoys and my appeal to the press as well is that the critical comments that are made in this House, particularly by the Opposition because the Budget Proposals are by the Minister of Finance, must be taken to the people. The people of this country, today, are reeling with confusion, wondering how can this be a realistic Budget, how in the world can this Government meet all of these expenditures they have proposed. When the Opposition picks it, tears it to pieces and exposes that this is a fraud on the people, that must be heard by the people and only when it is heard by the people, they, who are already suspicious that this is not a Budget but an election manifesto, will confirm in their minds as to what this really is.